What do you wish more people understood about makes groundwater sustainability important in the Scott River and Smith River Plain? 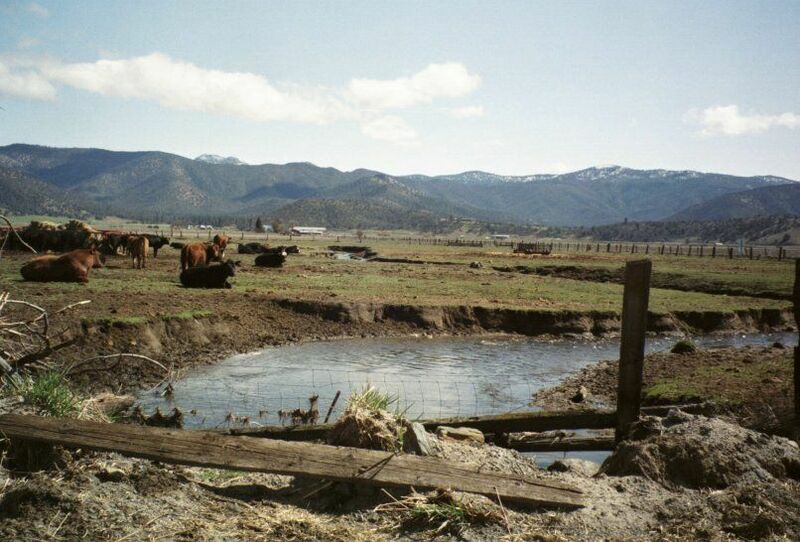 Surface and groundwater are connected, and groundwater extraction, which damages surface flows and fish, also damages other beneficial uses of water. What has been your experience of the GSP process, and what challenges are you currently facing with that process? In the Smith River Basin they are trying to get out of having to do a GSP. It was a challenge to get Siskiyou County to create a spot for "conservation-environmental" interests on their SGMA Advisory Committees but with help from DWR they were persuaded to do it. However, they refuse to appoint strong environmental activists like me even when we have been involved in the issues for a long time. Concerning Smith River Plain, the Del Norte County Board of Supervisors refuses to recognize poor groundwater quality as a problem. I think that is a problem other places too: GSAs and others want to focus on groundwater level and ignore other undesirable results. Also, SGMA's statement that undesirable results only must be addressed if they occur after 1/1/15 is a big problem. Flows were low in that drought year so some GSAs assume they only need to maintain those low flow levels. We need legislation to clarify that groundwater management that creates undesirable results to the beneficial uses of surface water must be addressed for each water year type. Why is community involvement in groundwater sustainability important? The overuse of groundwater will damage economic and social development, workers and residents have an interest in avoiding tainted drinking water, and all water users need to know how groundwater management impacts them. What happens when community members aren’t involved? If community members and environmental groups are not involved, undesirable results will be ignored or only receive lip service. Also, agriculture will take all the water and there will be none left for economic and community development. In the Scott, Coho will go extinct and Chinook salmon will survive only at low numbers. In the Smith, workers and others will have to drink polluted and dangerous groundwater. What are the steps that would lead to Coho going extinct and Chinook salmon surviving at low numbers? 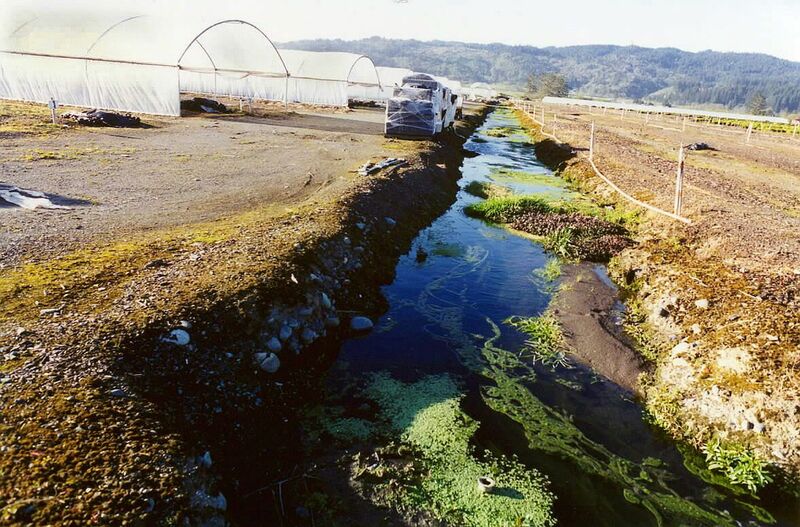 Failure to meet the adjudicated flows for fish and failure of the North Coast Regional Water Quality Control Board (NCRWQCB) to effectively regulate agriculture under the Clean Water Act will mean the runs will continue at severely depressed numbers of spawners and/or continue to decline. In those circumstances, scientists tell us, there's a good chance a "stochastic event" (say a very severe drought for five years) will result in extinction. Scientists talk of functional extinction as well whereby a species exists at very low numbers but hangs on only with help from humans. In the case of the Smith, what steps would lead to the groundwater becoming polluted and dangerous? The groundwater is already polluted and dangerous and has been so for quite a while. It is the continued failure on the part of the NCRWQCB to adequately regulate lily bulb growing and animal agriculture on lands adjacent to the Estuary which threatens both people and aquatic species. The groundwater discharges into the estuary via springs and sloughs. There are endangered Tidewater goby in that estuary. How are groundwater and surface water connected in these two streamflows? Groundwater and surface water are very closely connected in the Scott Valley, where there is annual recharge from the mountains that sustains flows via springs until groundwater extraction dewaters those springs. On the other hand, tributaries are dewatered via surface diversions. The combination dewaters Scott River and the periods of dewatering are getting longer and longer. I would say the groundwater in the Smith is more of a threat to humans (workers and residents) than to fish; on the other hand, the surface waters are more a threat to aquatic species in the streams, sloughs and estuary. What are examples of things you advocate for as an environmentalist that would prevent these adverse outcomes in the Smith and the Scott? 1. The State Water Resources Board needs to address streamflow issues by: enforcing the Scott River Adjudication water right for fish (which should but will not get the entire need filled) and asserting the public trust doctrine and reasonable use provisions of the California constitution to meet Scott Flow Criteria developed by Cal Fish and Wildlife. 2. The NCRWQCB (California North Coast Regional Water Quality Control Board) needs to effectively regulate agriculture, including adequately implementing the State Water Board's non-point source and enforcement policies and Scott-specific provisions of the Basin Plan. The SGMA Groundwater Planning process is our last chance to address the streamflow issue. On the Smith River Plain (what they call one side of the estuary area) there are legacy problems with chemicals in groundwater that perhaps can not be fixed anytime soon. However, most of the problems with chemical/pesticide/heavy metals contamination in ground and surface water can be controlled if the NCRWQCB would adequately regulate lily bulb growing and animal agriculture. Some of the specific practices for which I advocate are: 1. adequate no-spray buffers and animal exclusion buffers on all watercourses and ditches leading to watercourses. 2. Ongoing wind monitoring to assure that pesticides are not sprayed when the label says the wind is blowing too hard. 3. More robust monitoring of surface and groundwater. 4. Controlling irrigation run-off and, if necessary, treating that water before discharge to surface or groundwater.